It's just about here! And our Asheville bed and breakfast always loves the birthday party for America...the 4th of July weekend! This year, since the 4th falls on Monday, we hope you'll be here in Asheville so that you can experience the fireworks on Sunday and then come on out to the baseball games on Monday and Tuesday for, yes, more fireworks! 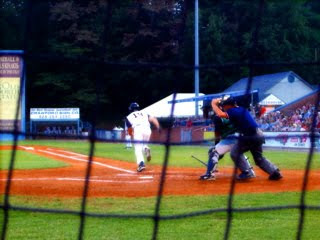 America's pastime, baseball, is a real treat here in Asheville. The farm-team for the Colorado Rockies is Asheville's favorite team. Called the 'Asheville Tourists', the ball club has a really great venue. 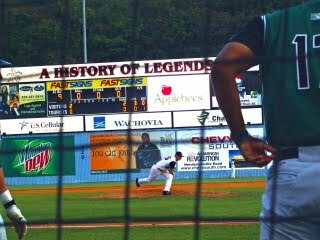 McCormick Field is an historic field, dating back to 1928 that has been recently updated so the whole experience is fun, fun, fun. 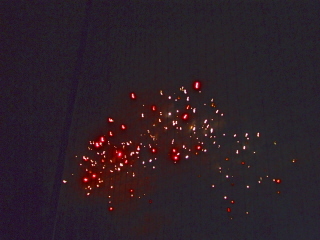 And after the games on both Monday and Tuesday, fireworks are on tap for the end of the evening! 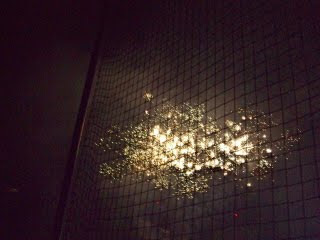 Fireworks, baseball, more fireworks, more baseball, more fireworks!Yes, this Asheville bed and breakfast likes that line-up! We think you will, too!